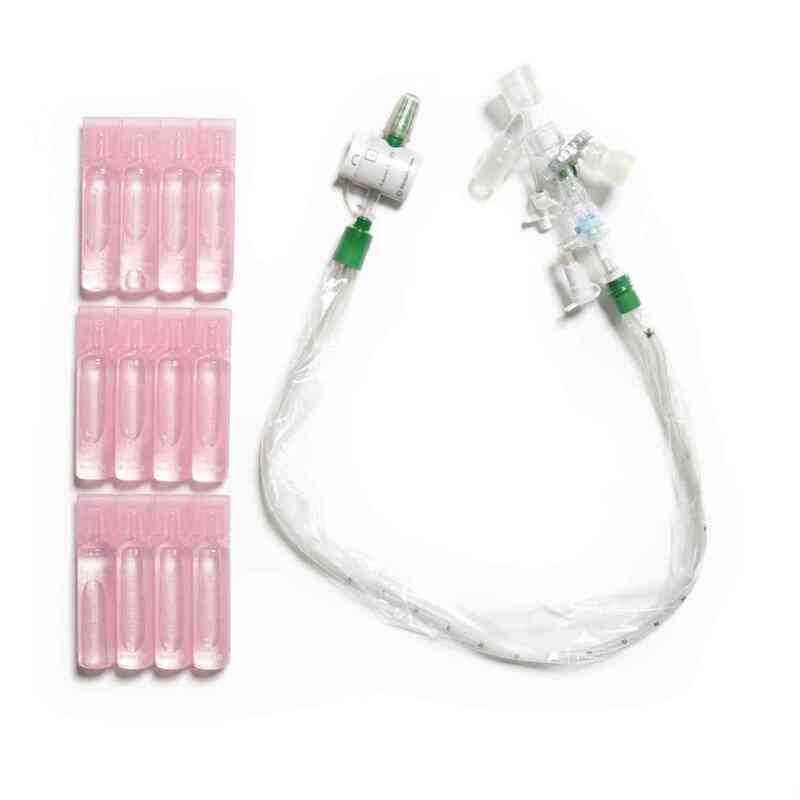 The AVANOS MultiAccess Port Catheter, Double Swivel Y, WET PAK* features a compact rotating manifold that provides multiple ports to access the patient’s airway without jeopardizing integrity of the closed circuit. A closed circuit helps you protect your patient from cross-contamination and VAP. Clinicians can perform suctioning and other procedures such as Broncho alveolar lavage, bronchoscopy, or MDI drug delivery while maintaining a closed vent circuit as recommended to help prevent VAP. The BALLARD* Multi-Access Port Catheter, Double Swivel Y, WET PAK* features a compact rotating manifold that provides multiple ports to access the patient’s airway without jeopardizing integrity of the closed circuit. A closed circuit helps you protect your patient from cross-contamination and VAP. Clinicians can perform suctioning and other procedures such as Broncho alveolar lavage, bronchoscopy, or MDI drug delivery while maintaining a closed vent circuit as recommended to help prevent VAP.Quality Features of the MultiAccess Port CatheterThe rotating manifold locks into place with a click for reassurance that circuit remains sealed. The catheter then locks into separate port and stays connected and clean. The single-use seal cassette maintains PEEP during insertion of sampling catheter or other devices. Also included is a turbulent cleaning chamber for a cleaner catheter. The sleeve tether prevents over-retraction of catheter.